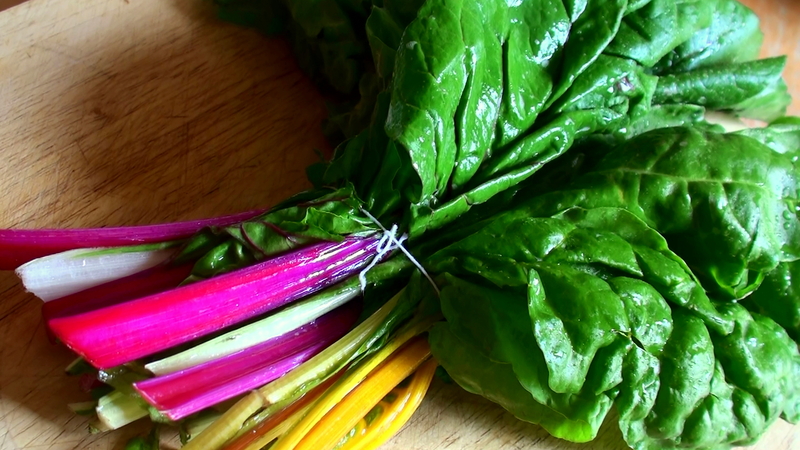 Rainbow Chard is a superfood: it comes in super pretty colours and is one of the most nutritious vegetables on the planet. It contains 13 different polyphenol antioxidants and loads of Vitamin K and it’s really good for regulating blood sugar. It’s also cheap at the moment. * Cut the stems in (2.5cm) 1-inch pieces and put aside. * Add the leaves to the boiling water for almost a minute. * Make a dressing with 2 minced garlic cloves (less for the kids), 2 tablespoons of olive oil, a squeeze of fresh lemon juice, salt and pepper. 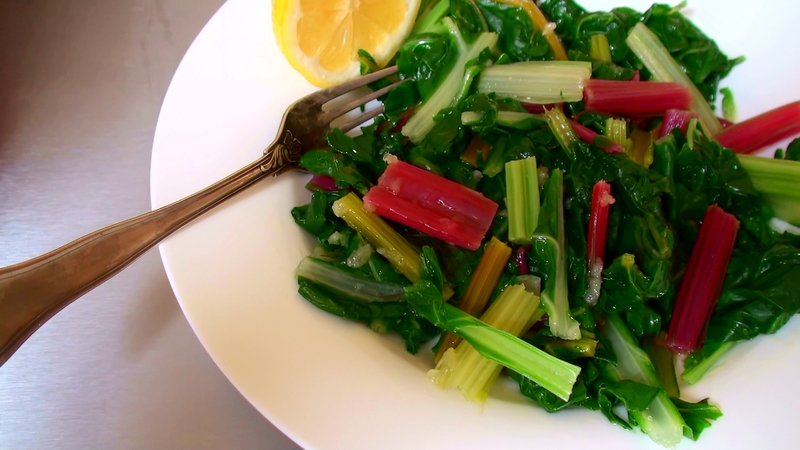 We love chard! With any extras I puree them in the food processor and freeze. I then add them to smoothies for my toddler (and myself) another way to get a lot of greens!